Last May, I blogged about a report that described how birds and bats have been affected by the TransAlta wind plant on Wolfe Island, a globally significant Important Bird Area in southern Ontario known for its waterfowl, raptors and swallows. I called the numbers of birds and bats being killed by TransAlta’s turbines “shockingly high,” indeed the highest recorded in Canada and one of the highest in North America. However, since the report only studied a six month period, TransAlta’s spokespeople argued that it was premature to reach conclusions so soon, especially when comparing the Wolfe Island deaths to yearly casualty rates for other wind plants. Besides, TransAlta reasoned, the results appeared to be within the thresholds of acceptable limits set by provincial and federal government regulators. Then last month, Stantec Consulting, the firm that produced the original report, released its report on the second half of the year: January 1, 2010 to July 1, 2010. And the results for birds are troubling. (I’ll write about bats in a future post.) Though casualty numbers for birds did not skyrocket in the second sixth month period, a time that included the spring migration, they still were high enough to make the Wolfe Island wind plant the most deadly for birds in Canada. The 13.4 birds per turbine casualty rate is about 7 times the industry average in Canada according to Canadian Wind Energy Association (CANWEA) but below the so-called “adaptive management” threshold for TransAlta facility, as set by various government agencies. That level is 11.7 birds per MW which translates to 21 birds per turbine, which just happens to be the highest level ever recorded at any wind facility in North America (Buffalo Mountain, Tennessee). Using the highest level recorded as the threshold before which any mitigation is even considered seems a bit dubious to say the least. It is important to note that the calculated numbers are arrived at using Stantec’s formula to calculate total casualty rates. 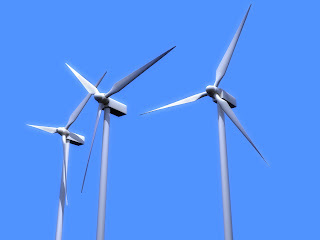 A sample of turbines are visited either weekly or twice a week and a search for bird corpses on the ground beneath the blades is conducted. As the method is not intended as a comprehensive search, determining the casualty rate requires taking in factors like the ability of the search team to find carcasses, the percentage of the area searched and the rate of predation between searches. The 31 Tree Swallow corpses, in other words, represent about 15% of the calculated number of tree swallows killed, based on Stantec’s calculations and field testing. While the report and the research behind it appear to be quite solid, the authors contend that the casualty rates are quite sustainable and will not have any effect on the species populations. They do this by contrasting the kill numbers from the turbines with the estimated Ontario population of the most affected species – Tree Swallow, numbering about 400,000 and Bobolink, about 800,000. (They do not do this for Red-tailed Hawk, which in fact may not meet their sustainability criteria). They also contrasted the numbers with estimates of birds killed by other human activities or artifices such as tall buildings, vehicles, cell towers, and pets. While this argument has gained considerable traction among some in the wind industry and even the scientific community, it fails to consider that the turbines at Wolfe Island are killing different species than the tall buildings, cats and cars. Tree Swallow, Purple Martin, Red-tailed Hawk, Turkey Vulture and Bobolink rarely if ever show up on lists of casualties from tall buildings, and are unlikely victims of cats, with the possible exception of the Bobolink. And vehicle collisions, well – while this is a legitimate concern, Turkey Vultures have arguably had a net benefit from the carnage caused by vehicles. But it is some of these very species – the ones most likely to be harmed by Wolfe Island’s turbines – that are already experiencing declines. Take swallows, for example. Most species of swallow have declined significantly in Canada over the past 20 years. Adding additional threats to already stressed populations is not prudent. According to trend data on this species from Breeding Bird Survey routes in Ontario, the Tree Swallow has declined by about 6% annually over the past 20 years, a cumulative decline of almost 80%! In other words, the current estimated population of 400,000, was 2 million only 20 years ago. Bobolink, recently added to COSEWIC’s list of threatened species, declined 4.1% over the same period. We should not trivialize the impact of removing dozens, or hundreds of individuals from a population of species that are clearly in trouble. In the meantime, good documentation of the impacts is essential. While TransAlta had to deliver these studies – they were a condition of the wind project’s approval – the company and Stantec should be recognized for doing good work. Once one takes the spin out of the document, the data and the methodologies are solid. The quality of the monitoring appears to be high, and some weaknesses, such as a potential bias to undercount the number of raptor fatalities, are recognized in the report. This number crossed the “notification threshold” for the project, meaning that the CWS and MNR were notified about the high rates. The report states that TransAlta and MNR have initiated discussions regarding “adaptive management” in response to the raptor deaths. We look forward to hearing what the response might be. With the plant already in operation, the only option now is to mitigate the risk to wildlife perhaps by slowing down the blades of the turbines at hazardous moments of the year, or turning them off. However, unless the numbers of casualties increase even further in the next two years, it is unclear how far the threshold must be exceeded and how often, before mitigation is implemented. It is reported in the document that four notifications were made by the company to the government for raptors alone, yet none appears to have led to mitigation. As I write this, several wind farms are being proposed around the eastern end of Lake Ontario, the most worrying being Gilead’s Ostrander Point wind farm. Ostrander Point is an area that is arguably even more significant for birds than Wolfe Island, because of its specific geography. Ironically, the land on which the Gilead project is being proposed is owned by the Province of Ontario – a Crown forest block. Opposition to turbines in agricultural areas appears to have persuaded government officials to meet their renewable energy agenda by prioritizing “crown lands” as locations for wind energy plants. 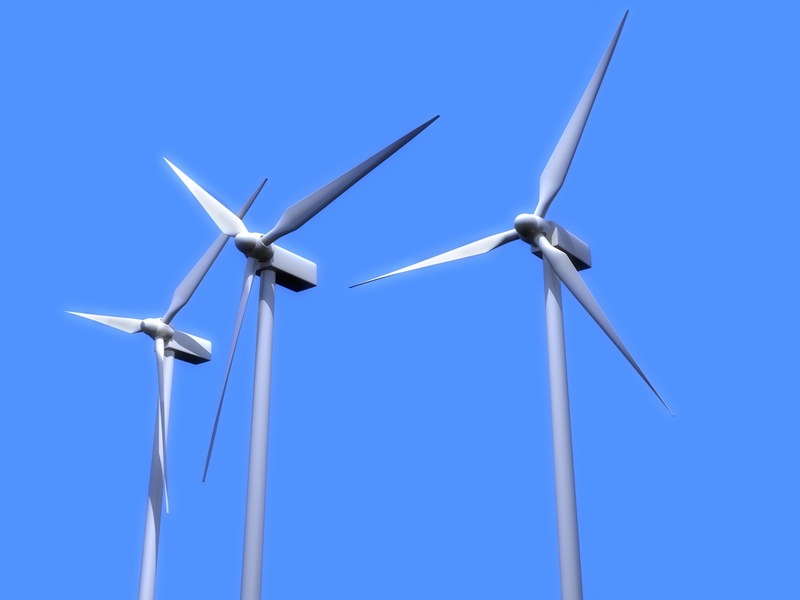 While this might be appropriate and acceptable for some properties, when a wind plant is located in an area of great significance to wildlife, as is the case with Ostrander Point, so-called green energy ceases to be green at all. The Ontario government needs to think more carefully about where they allow wind turbines. It is not too late for the Province to design a policy that promotes green energy and also protects key biodiversity sites including Important Bird Areas. Otherwise, as more of these facilities are built in bad places, wind energy will become a significant contributor to the declines of several species that are already in trouble, and the Green Energy Act will be recognized and remembered for all of the wrong reasons.